Russia’s permanent representative to the OSCE Alexander Lukashevich. called on the Slovak Chairmanship and the institutions of the organization to assess the unlawful actions of Kiev around the presidential elections. “We call on the OSCE’s Slovak Chairmanship, the leadership of the ODIHR, and the participating States to give a principled assessment of Kiev’s unlawful actions. We expect that after the upcoming elections, the ODIHR will be able to provide the international community with an objective picture, not giving in to pressure from the Ukrainian authorities and their supervisors,” he said. 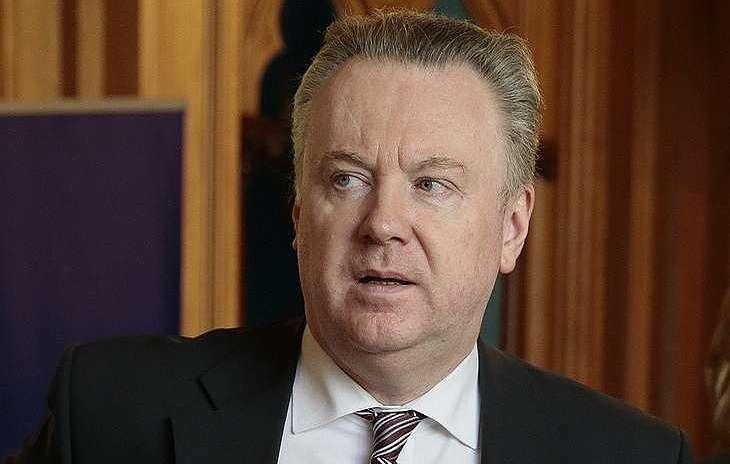 Ukraine’s violations before the presidential elections set a dangerous precedent and can undermine the credibility of the OSCE, according to Russia’s permanent representative to the OSCE Alexander Lukashevich. “The actions of the Ukrainian authorities not only grossly violate Ukraine’s obligations in terms of elections, including the provisions of the 1990 Copenhagen CSCE Document, but also create an extremely dangerous precedent for the OSCE’s electoral monitoring as a whole. The vicious practice of selectively prohibiting observers participation in monitoring elections on national and political grounds, which is taking shape before our eyes, can take root in the OSCE. The result will be undermined credibility of the Organization and its institutions. Draw your own conclusions,” he said.